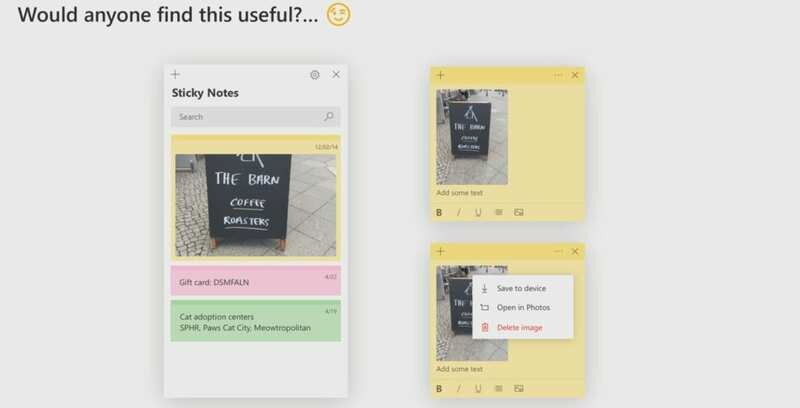 Microsoft’s Sticky Notes, which is the handiest feature for writing down tasks and notes, has been getting a lot of attention since the major overhaul of the app with version 3.0. Now, Microsoft’s Jen Gentleman has teased a new feature that will allow users to add support for images in Sticky Notes. This feature will be made available to Windows Insiders first most likely in the upcoming update. For those unaware, Microsoft had recently rolled out the new syncing feature on iOS and Android via the OneNote app. It also rolled out the new full-on Dark Mode that now use a dark grey background color for Sticky Notes.